The Periodic Table is a listing of the elements in order of increasing atomic number and atomic mass. Its organization relates different elements by their chemical compositions and properties. The three major classifications in the periodic table include metals, non-metals and metalloids. Metals – comprise a majority of the elements on the periodic table. They are characterized as having luster (shininess), being good thermal and electrical conductors, being malleable and opaque, while having ductility and being solids at room temperature. Non-Metals – constitute the second largest classification for elements of the periodic table. They are characterized as having little to no luster (shininess), being poor thermal and electrical conductors, being brittle and transparent, while having no ductility and representing all phases at room temperature. Metalloids – constitute the smallest classification for elements on the periodic table. Beyond the major classifications of the elements we can further divide them into groups or families. The Main Groups 1 - 8 or Group A Elements are the Alkali Metals, Alkaline Earth Metals or Rare Earth Metals, Pnictogens, Chalcogens, Halogens, Noble Gases or Inert Noble Gases. The remaining elements or Group B Elements are the Transition Metals and Inner Transition Metals, of which are further divided into Lanthanides and Actinides. From constant exposure to the elements of the periodic table you will find yourself memorizing 20 elements then 30 elements to 50 elements and beyond. Once you’ve memorized the periods, groups, and names of elements you will take a look at the orbital structure of elements when discussing isotopes, and the subatomic particles of protons, neutrons and electrons. 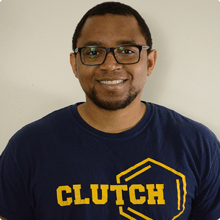 Eventually you will begin doing calculations involving the elements’ moles and mass, their periodic trends (electronegativity, van der Waals forces, electron shells), their charges, and electron configurations (valence electrons, ground state, excited state). Which of the following is true? A) Copper (Cu) is a main group element. B) Tellurium (Te) is a transition metal. C) Germanium (Ge) is a metalloid. D) Halogens are unreactive. Which is the chemical symbol for silicon? a. S b. Si c. Sn d. Se e. None of the given answers. Ions differ in the number of A) electrons. B) neutrons. C) protons. D) neutrons and protons. E) electrons and protons. Which of the following does NOT describe a metal? A) good conductor of heat B) good conductor of electricity C) tends to gain electrons D) forms ionic compounds with nonmetals E) found on the left side of the periodic table. Which statement best reflects the organization of the modern periodic table? a) Elements are always arranged in order of increasing atomic weights. b) Metallic properties increase going from bottom to top in a family of elements. c) Nonmetallic properties tend to predominate for elements at the far right portion of the table. d) Each transition element is placed in the column of the main group element that it most closely resembles. The names of the elements whose symbols are Si, P, Mn, and S are, respectively, a. silicon, potassium, manganese, and sulfur. b. silver, phosphorus, magnesium, and sodium. c. silicon, potassium, magnesium, and sulfur. d. silver, potassium, manganese, and sodium. e. silicon, phosphorus, manganese, and sulfur. Elements in the same group of the periodic table typically have_______. a. similar mass numbers b. similar physical properties only c. similar chemical properties only d. similar atomic masses. e. similar physical and chemical properties. From what you know about ion formation and the periodic table, which ion would be unlikely to occur? a. Rb + b. Ca 2+ c. Al 3+ d. Na 2+ e. All of these ions are common ions. Using the periodic table below, which of the following statements is INCORRECT? Which of the following does NOT describe a metal? A) Found on the left side of the periodic table. B) Good conductor of heat. C) Form ionic compounds with nonmetals. D) Good conductor of electricity. E) Tend to gain electrons. Identify the three elements indicated on the periodic table. Four of the boxes in the following periodic table are colored.Which one is an alkaline earth metal? Without looking at a periodic table, list five alkali metals and five alkaline earth metals. Four of the boxes in the following periodic table are colored.Which one is a noble gas? Where in the periodic table are the main-group elements and the transition metal groups found? Without looking at a periodic table, list four common halogens. Without looking at a periodic table, list six common noble gases. What are the characteristic properties of each of the following groups: noble gases, alkali metals, alkaline earth metals, halogens? Discussing this chapter, a classmate says, "Since elements that form cations are metals and elements that form anions are nonmetals, elements that do not form ions are metalloids. " Do you agree or disagree? Discussing this chapter, a classmate says, “An element that commonly forms a cation is a metal.” Do you agree or disagree? The radioactive element indicated on the following periodic table is used in smoke detectors. The black bar shown in rows six and seven indicate that the series below starts with the fourth element of each row respectively.Tell what kind of group its in. Classify these elements as metals, nonmetals, or semimetals. Name two ways in which the metals shown above differ in general appearance from the nonmetals. For each of the following elements, write its chemical symbol:For each of the following elements, locate it in the periodic table, and indicate whether it is a metal, metalloid, or nonmetal. Four of the boxes in the following periodic table are colored.Which of these are metals and which are nonmetals? 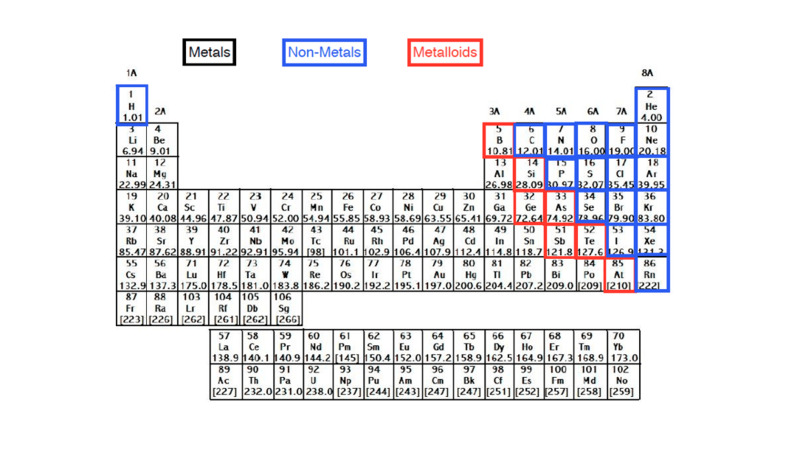 The elements of group 4A show an interesting change in properties moving down the group.Label each element in the group as a nonmetal, metalloid, or metal. Where on the following outline of a periodic table does the dividing line between metals and nonmetals fall? An element is indicated in the periodic table. Classify it as a metal, nonmetal, or semimetal. Fill in the gaps in the following table: Symbol Co3+ Protons 34 76 80 Neutrons 46 116 120 Electrons 36 78 Mass number 59 Net charge 2+ Complete the sixth raw of the table. Each of the following elements is capable of forming an ion in chemical reactions.By referring to the periodic table, predict the charge of the most stable ion of Mg.
Each of the following elements is capable of forming an ion in chemical reactions.By referring to the periodic table, predict the charge of the most stable ion of Al. Each of the following elements is capable of forming an ion in chemical reactions.By referring to the periodic table, predict the charge of the most stable ion of K.
Each of the following elements is capable of forming an ion in chemical reactions.By referring to the periodic table, predict the charge of the most stable ion of S.
Each of the following elements is capable of forming an ion in chemical reactions.By referring to the periodic table, predict the charge of the most stable ion of F.
How do you predict the charges of ions formed by main-group elements? In the periodic table, what are the rows called and what are the columns called? Looking at the periodic table on the inside front cover in the textbook, can you find an example other than Ar and K where the order of the elements would be different if the elements were arranged in order of increasing atomic weight? Do you think sulfur is malleable? Figure Sulfur, known to the medieval world as "brimstone", is a nonmetal. Arranging elements by atomic number reveals a periodic pattern of properties. This pattern is the basis of the periodic table.If F is a reactive nonmetal, which other element or elements shown here do you expect to also be a reactive nonmetal? Group Name Elements 1A Alkali metals Li, Na, K, Rb, Cs, Fr 2A Alkaline earth metals Be, Mg, Ca, Sr, Ba, Ra 6A Chalcogens O, S, Se, Te, Po 7A Halogens F, Cl, Br, I, At 8A Noble gases (or rare gases) He, Ne, Ar, Kr, Xe, Rn Names of Some Groups in the Periodic TableChlorine is a halogen. Locate this element in the periodic table. What is its symbol? The elements of group 4A show an interesting change in properties moving down the group.Give the name of each element in the group. The elements of group 4A show an interesting change in properties moving down the group.Give chemical symbol of each element in the group. Where in the periodic table are the metallic and nonmetallic elements found? In which of the periodic groups 1A, 2A, 5A, and 7A do all elements have the first letter of their symbol the same as the first letter of their name? The prefix eka- comes from the Sanskrit word for one. Mendeleev used this prefix to indicate that the unknown element was one place away from the known element that followed the prefix. For example, eka-silicon, which we now call germanium, is one element below silicon. Mendeleev also predicted the existence of eka-manganese, which was not experimentally confirmed until 1937 because this element is radioactive and does not occur in nature.Based on the periodic table, what do we now call the element Mendeleev called eka-manganese? What are the characteristic properties of metals, nonmetals, and metalloids? Little is known about the properties of astatine, At, because of its rarity and high radioactivity. Nevertheless, it is possible for us to make many predictions about its properties.Do you expect the element to be a gas, liquid, or solid at room temperature? A historian discovers a nineteenth-century notebook in which some observations, dated 1822, were recorded on a substance thought to be a new element. Here are some of the data recorded in the notebook: "Ductile, silver-white, metallic looking. Softer than lead. Unaffected by water. Stable in air. Melting point: 153 oC. Density: 7.3 g/cm3. Electrical conductivity: 20% that of copper. Hardness: About 1% as hard as iron. When 4.20 g of the unknown is heated in an excess of oxygen, 5.08 g of a white solid is formed. The solid could be sublimed by heating to over 800 oC." Using information in the text and the CRC Handbook of Chemistry and Physics, and making allowances for possible variations in numbers from current values, identify the element reported. A historian discovers a nineteenth-century notebook in which some observations, dated 1822, were recorded on a substance thought to be a new element. Here are some of the data recorded in the notebook: "Ductile, silver-white, metallic looking. Softer than lead. Unaffected by water. Stable in air. Melting point: 153 oC. Density: 7.3 g/cm3. Electrical conductivity: 20% that of copper. Hardness: About 1% as hard as iron. When 4.20 g of the unknown is heated in an excess of oxygen, 5.08 g of a white solid is formed. The solid could be sublimed by heating to over 800 oC." Judging from the figure, might this nineteenth-century investigator have been the first to discover a new element? An element is a shiny, silver-colored solid at room temperature and pressure. It conducts electricity and can be found in nature in its pure form. Classify the element as a metal, nonmetal, or semimetal. An element is indicated in the periodic table. Give the symbol of the element. An element is indicated in the periodic table. Predict the appearance of the element at room temperature and pressure. An element is indicated in the periodic table. What would happen if you were to hit a pure sample of this element with a hammer? An element is indicated in the periodic table. Could this element be used to make a wire to conduct electricity in your home? An element is indicated in the periodic table. Give the name of the element. The radioactive element indicated on the following periodic table is used in smoke detectors. The black bar shown in rows six and seven indicate that the series below starts with the fourth element of each row respectively.Identify the element highlighted in purple in the periodic table shown. The radioactive element indicated on the following periodic table is used in smoke detectors. The black bar shown in rows six and seven indicate that the series below starts with the fourth element of each row respectively.Give its atomic number. What is the second most abundant element in the human body? The first atoms of seaborgium (Sg) were identified in 1974. The longest-lived isotope of Sg has a mass number of 266.Atoms of Sg are very unstable, and it is therefore difficult to study this elements properties. Based on the position of Sg in the periodic table, what element should it most closely resemble in its chemical properties? What is the second most abundant element in the Earths crust? Are the following statements true or false?The symbol for manganese is Mg.
Are the following statements true or false?The symbol for potassium is Po. Are the following statements true or false?The symbol for helium is He. Are the following statements true or false?The symbol for carbon is Ca. Are the following statements true or false?The symbol for sodium is So. At room temperature, a certain element is yellow crystalline solid. It does not conduct electricity, and when hit with a hammer it shatters. Is the element likely to be a metal, a nonmetal, or a semimetal? Are the following statements true or false?The symbol for nitrogen is Ni. At room temperature, a certain element is a colorless, unreactive gas. Is the element likely to be a metal, a nonmetal, or a semimetal? Are the following statements true or false?The symbol for chlorine is Cr. At room temperature, a certain element is found to be a soft, silver-colored solid that reacts violently with water and is a good conductor of electricity.Is the element likely to be a metal, a nonmetal, or a semimetal? At room temperature, a certain element is found to be shiny, silver-colored solid that is a poor conductor of electricity. When a sample of the element is hit with a hammer, it shatters.Is the element likely to be a metal, a nonmetal, or a semimetal? For which elements in groups 1A, 2A, 5A, and 7A of the periodic table does the first letter of their symbol differ from the first letter of their name? Consider the stable elements through lead (Z=82).In how many instances are the atomic weights of the elements out of order relative to the atomic numbers of the elements? The elements of group 4A show an interesting change in properties moving down the group. Give the name and chemical symbol of each element in the group and label it as a nonmetal, metalloid, or metal. The element fluorine is classified in the periodic table as a/an a. metal. b. alkali metal. c. metalloid. d. halogen. The periodic table is based on an element's a. molecular size. b. atomic mass. c. atomic number. d. molecular mass. The two most reactive families of elements are the halogens and the alkali metals. How do they differ in their reactivities? Which of the following statements are true? For the false statements, correct them.b. Element 118 should be a nonmetal. Which of the following statements are true? For the false statements, correct them.c. Hydrogen has mostly metallic properties. Which of the following statements are true? For the false statements, correct them.d. A family of elements is also known as a period of elements. Which of the following statements are true? For the false statements, correct them.e. When an alkaline earth metal, A, reacts with a halogen, X, the formula of the covalent compound formed should be A2X. What are the symbols of the following metals: sodium, radium, iron, gold, manganese, lead? What are the symbols of the following nonmetals: fluorine, chlorine, bromine, sulfur, oxygen, phosphorus? Give the names of the metals that correspond to the following symbols: Sn, Pt, Hg, Mg, K, Ag. Give the names of the nonmetals that correspond to the following symbols: As, I, Xe, He, C, Si. GroupNameElements1AAlkali metalsLi, Na, K, Rb, Cs, Fr2AAlkaline earth metalsBe, Mg, Ca, Sr, Ba, Ra6AChalcogensO, S, Se, Te, Po7AHalogensF, Cl, Br, I, At8ANoble gases (or rare gases)He, Ne, Ar, Kr, Xe, RnNames of Some Groups in the Periodic TableChlorine is a halogen (Table 2.3). Locate this element in the periodic table.In which period is the element located? GroupNameElements1AAlkali metalsLi, Na, K, Rb, Cs, Fr2AAlkaline earth metalsBe, Mg, Ca, Sr, Ba, Ra6AChalcogensO, S, Se, Te, Po7AHalogensF, Cl, Br, I, At8ANoble gases (or rare gases)He, Ne, Ar, Kr, Xe, RnNames of Some Groups in the Periodic TableChlorine is a halogen (Table 2.3). Locate this element in the periodic table.What is its atomic number? GroupNameElements1AAlkali metalsLi, Na, K, Rb, Cs, Fr2AAlkaline earth metalsBe, Mg, Ca, Sr, Ba, Ra6AChalcogensO, S, Se, Te, Po7AHalogensF, Cl, Br, I, At8ANoble gases (or rare gases)He, Ne, Ar, Kr, Xe, RnNames of Some Groups in the Periodic TableChlorine is a halogen (Table 2.3). Locate this element in the periodic table.In which group is the element located? Locate each of the following elements in the periodic table and give the name of the element.Locate each of the following elements in the periodic table and indicate whether it is a metal, metalloid, or nonmetal. GroupNameElements1AAlkali metalsLi, Na, K, Rb, Cs, Fr2AAlkaline earth metalsBe, Mg, Ca, Sr, Ba, Ra6AChalcogensO, S, Se, Te, Po7AHalogensF, Cl, Br, I, At8ANoble gases (or rare gases)He, Ne, Ar, Kr, Xe, RnNames of Some Groups in the Periodic TableChlorine is a halogen (Table 2.3). Locate this element in the periodic table.Is it a metal or nonmetal? Five of the boxes in the following periodic table are colored. Predict the charge on the ion associated with each of these elements.Predict the charge on the ion associated with the orange box, labeled "A." Five of the boxes in the following periodic table are colored. Predict the charge on the ion associated with each of these elements.Predict the charge on the ion associated with the blue box, labeled "B." Five of the boxes in the following periodic table are colored. Predict the charge on the ion associated with each of these elements.Predict the charge on the ion associated with the black box, labeled "C."
Five of the boxes in the following periodic table are colored. Predict the charge on the ion associated with each of these elements.Predict the charge on the ion associated with the red box, labeled "D."
Five of the boxes in the following periodic table are colored. Predict the charge on the ion associated with each of these elements.Predict the charge on the ion associated with the green box, labeled "E."
Does the drawing represent a neutral atom or an ion? Write its complete chemical symbol, including mass number, atomic number, and net charge (if any). What is the charge of the ion most commonly formed by S? What monatomic ions would you expect potassium (Z = 19) and bromine (Z = 35) to form? What monatomic ions would you expect radium (Z = 88) and selenium (Z = 34) to form? Complete the following table to predict whether the given atom will gain or lose electrons in forming the ion most likely to form when in ionic compounds. Rubidium and bromine atoms are depicted below.What monatomic ions do they form? Which of the following atoms would be expected to form negative ions in binary ionic compounds and which would be expected to form positive ions: P, I, Mg, Cl, In, Cs, O, Pb, Co? Which of the following atoms would be expected to form negative ions in binary ionic compounds and which would be expected to form positive ions: Br, Ca, Na, N, F, Al, Sn, S, Cd? Predict the charge on the monatomic ion formed from P in binary ionic compounds. Predict the charge on the monatomic ion formed from Mg in binary ionic compounds. Predict the charge on the monatomic ion formed from Al in binary ionic compounds. Predict the charge on the monatomic ion formed from O in binary ionic compounds. Predict the charge on the monatomic ion formed from Cl in binary ionic compounds. Predict the charge on the monatomic ion formed from Cs in binary ionic compounds. Predict the charge on the monatomic ion formed from I in binary ionic compounds. Predict the charge on the monatomic ion formed from Sr in binary ionic compounds. Predict the charge on the monatomic ion formed from K in binary ionic compounds. Predict the charge on the monatomic ion formed from N in binary ionic compounds. Predict the charge on the monatomic ion formed from S in binary ionic compounds. Predict the charge on the monatomic ion formed from In in binary ionic compounds. The symbol CO stands for carbon monoxide, but the symbol Co stands for the element cobalt. Explain. Fill in the blanks:(a) The symbol and atomic number of the heaviest alkaline earth metal are _____ and _____. Fill in the blanks:(b) The symbol and atomic number of the lightest metalloid in Group 4A(14) are _____ and _____. Fill in the blanks:(c) Group 1B(11) consists of the coinage metals. The symbol and atomic mass of the coinage metal whose atoms have the fewest electrons are _____ and _____. Fill in the blanks:(d) The symbol and atomic mass of the halogen in Period 4 are _____ and _____. Fill in the blanks:(a) The symbol and atomic number of the heaviest nonradioactive noble gas are _____ and _____. Fill in the blanks:(b) The symbol and group number of the Period 5 transition element whose atoms have the fewest protons are _____ and _____. 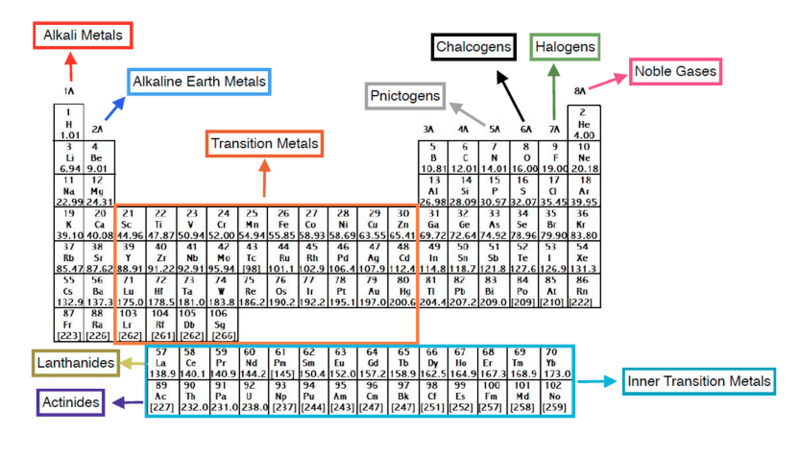 Fill in the blanks:(c) The elements in Group 6A(16) are sometimes called the chalcogens. The symbol and atomic number of the first metallic chalcogen are _____ and ______. Fill in the blanks:(d) The symbol and number of protons of the Period 4 alkali metal atom are _____ and _____. If arranged in order of increasing atomic mass, which element would come after chlorine? You may want to reference (Pages 260 - 262) Section 7.2 while completing this problem.Moseley's experiments on X-rays emitted from atoms led to the concept of atomic numbers. If arranged in order of increasing atomic mass, which element would come after chlorine? The five most abundant elements in the Earths crust are O, Si, Al, Fe, and Ca. Referring to the figure below, are any of these elements among those known in ancient times? If so which ones? From the periodic table below, give the name, symbol, atomic number, atomic mass, period number, and group number of(b) the macronutrients (green), which are either essential ions in cell fluids or are part of many biomolecules. Although both Br3- and I3- ions are known, the F3- ion has not been observed. Explain. Are the following statements true or false?The symbol for tin is Ti. Metals and nonmetals can react with each other to form ions. Complete these statements.A potassium atom gains or loses (electrons/protons/neutrons) and forms how many ion?A sulfur atom gains or loses (electrons/protons/neutrons) and forms how many ion? Part AWhich row of the periodic table contains the most recently discovered elements? Express your answer as an integer. Part BCan you suggest a reason? The element sulfur is in group ____ and period _____. The element gallium is in group ______ and period ______. The element nickel is in group _____ and period ______. Which element does X represent in the following expression: 5525X? Enter the chemical symbol of the element. Which of the following elements do NOT normally exist as diatomic molecules? Elements in group 1A are best describe as:(i) Alkali Metals. Soft, silvery metals that react rapidly with water. (ii) Halogens. Colorful, corrosive nonmetals. (iii) Alkaline Earth Metals. Silvery meatls that are less reactive that alkali metals. (iv) Noble Gases. Colorless gases with very low chemical reactivity. What is the name of the alkali metal that is in period 2? What is the name of the halogen that is in period 5? What is the name of the alkaline earth metal that is in period 3? What is the name of the noble gas that is in period 3? Match the following symbols with their elements names.